Companies are increasingly recognising the benefits of team building – the beginning of 2016 actually saw record spending on team building activities in the UK. In fact, on average companies now spend £305 on activities per employee to boost morale and keep their staff happy. Traditional team building activities such as assault courses are being replaced with more creative days out, with the most popular being cooking and baking. 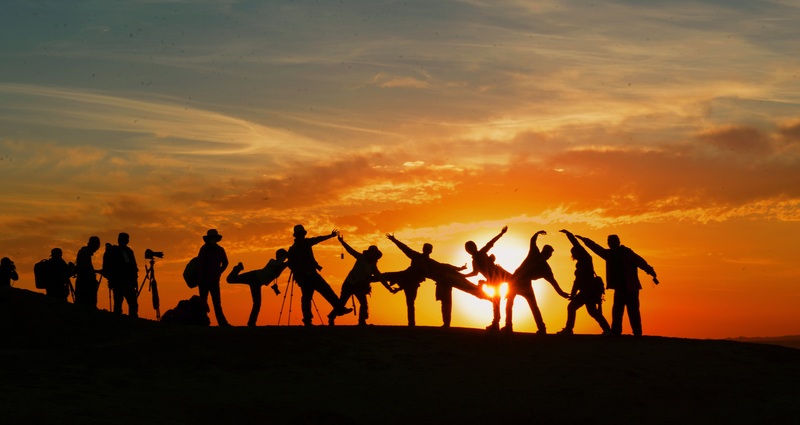 Adventure Connections highlight the many benefits of team building in the workplace that small businesses need to take advantage of. There are many benefits of team building. As well as boosting morale and keeping your team happy, it is also an opportunity for your employees to perfect relevant skills in a relaxed environment and to form closer friendships. Teamwork: It is important that your employees can work together as a team and what better way to encourage this than with an activity that will require them to do so to complete a task? Responsibility: As well as working as a team, each member will need to take responsibility for their own role to ensure that they complete the challenge. It will show them that taking responsibility is vital to effective teamwork. Communication: You need to break down barriers and allow people who are not used to working together to get the opportunity to work as team. Let’s say two members of the team communicate on a fairly regular basis but only ever on the phone or over email. Team building enables them to communicate with each other face-to-face and communication is key to a successful business. Bonding: Team building also gives your employees the chance to bond. Outside of the office, away from the stress of calls and emails, they can get to know each other in a fun and relaxed environment. Learning about each other will, in turn, help to grow respect and trust – which is vital in a working environment. Skills: Team building enables employees the opportunity to show that they have skills that may not have been noticed yet. For example, a member of the team might naturally take the leadership role on and it might not be the person you expect. Fun: You shouldn’t overlook the fact that as much as team building is there to boost the performance of your employees once they are back in the office, it is all an opportunity to get away from their day-to-day tasks and have fun. It will reinforce the importance of having fun and a relaxed environment in the workplace. What team building activities could you do? Team building activities may fill some of your employees with dread. The thought of organised fun, where they are supposed to fulfil all of the above, can quickly take it from something that is fun to something they want to avoid. This is why you need to think carefully about the activity you plan – what is relevant for your team and what will they enjoy? You might want to ask for their input or offer a few suggestions, the more creative the better. They don’t want to feel like they are team building – they want to be on a fun day out that just happens to allow them to do so. Think outside the box. What will get everyone excited and ensure they don’t want to turn down the invite? Take a look at sites such as Adventure Connections – who can help with the planning process – for some inspiration. What about ‘Television Commercial’, ‘Urban Circus,’ ‘The Secret Spy Experience,’ ‘Flash Master,’ ‘Back to School’ – if you are already intrigued then your staff will be too. Now you know the benefits of team building it is time to decide what activity is best for you as a team and then start to build the excitement ahead of the event. It is a small cost that will have huge benefits for your employees and the business in the long run. More on motivating your staff and creating a good workplace.